The Men's competition has often been one of the most interesting discipline of Four Continents in the past years, due to the supremacy of Japan and North America. Even though things have slightly changed since Sochi 2014 (most of the higher ranked skaters competing in 2015 are Europeans), the Four Continents held in Seoul next week will be exciting for different reasons. First of all, it will be a chance to see whether Denis Ten will be capable of a consistent performance. Denis is a skater whose physical condition builds up as the season progresses and often has his peak during World Championships. Being the 2014 Olympic bronze medalist, he nailed a beautiful short program at Trophee Bompard, but literally crumbled in the free skate. His result in Seoul will make a good indication about his state going into Worlds. The competition will also be a showcase of new, young talents. Nam Nguyen of Canada is certainly one of those as, debuting this year in the international Senior circuit, he won Canadian Nationals. Even if very consistent as a junior, he never stood out because of his poor technical content. However, from the latest fall season he started to nail programs with gorgeous quads and triple axels, elements that were definitely out of his league just one year ago. His short programs are still a bit safe, but it is his free skate that has been a strong point for him and, if skated as well as he has always done so far, it could propel him on the podium at this event. Also very young and tremendously improved in the last months, Shoma Uno will debut as a senior at Four Continents. Winner of the junior Grand Prix final, Uno is becoming a very complete athlete with the quad toe and all the triples in his repertoire, as well as fantastic skating skills that assure him an incredible flow from start to finish. What is really outstanding about him is that he completes every single element of his program with a lot of quality so that, as long as his jumps remain consistent, his scores will get higher and higher after every competition. A little bit older than Nguyen and Uno, Jason Brown and Joshua Farris will attend Four Continents for the first time in their carreer. Joshua Farris has been for a long time the leader of the US junior skating, bevo ing the junior world Champion in 2013. He has had some struggles entering the senior circuit, until a couple of weeks ago, when he won the bronze medal at Nationals. Unfortunately, a triple double toe repetition cost him the title as he wasn't counted a triple lutz-double toe combo. Jason Brown must one of the most loved skater of all. That is because of his lovely personality, but definitely because he has a great ability to connect with the audience through detailed choreography and strong sense of musicality that watching him skating live is a true privilege. However, his technical content, even though the jumps he executes are almost perfect, his repertoire is rather poor. He doesn't have a quad and even his triple axel sometimes eludes him. 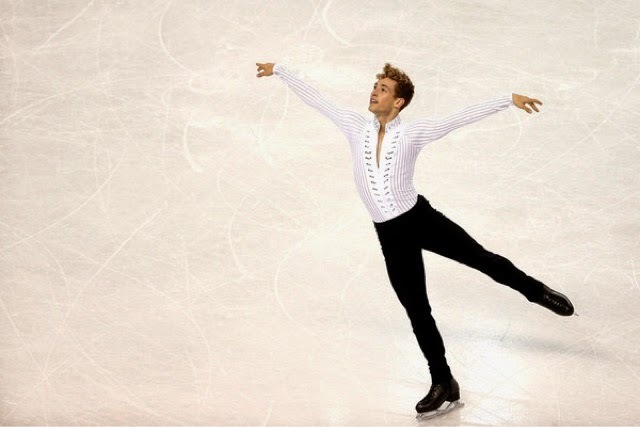 Adam Rippon has also competed well during Nationals, ranking third after some disappointing seasons. His main feature is the quad lutz, always judged under rotated, but that sets Rippon's strategy. Apart from that, Rippon remains a very elegant skater to watch. Finally, Four Continents will be a test before home Worlds for Han Yan, the Chinese champion, after that dreadful collision that compromised his entire fall season.